Low voltage cabling including Cat5, 6 or 7 audio, security or coax. 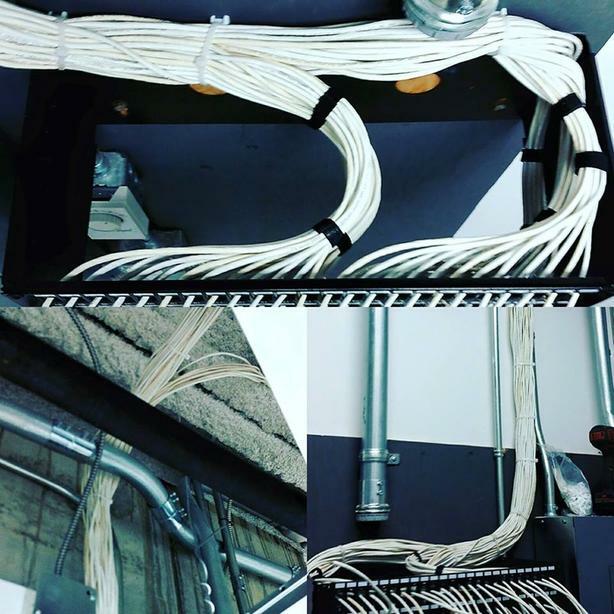 Specializing in upgrading old cable to new high speed cable and fiber. Cabling rack, testing and labeling of all cables included with each job. Free estimates. We also provide fiber optic cabling, security cameras, security alarms and audio visual services.